|By Arabian Post Staff| Cosco Shipping Ports and Abu Dhabi Ports inaugurated CSP Abu Dhabi Terminal at Khalifa Port; positioning Abu Dhabi as the regional hub for Cosco’s global network of 36 ports and further connecting the Emirate to the major trade hubs along the Belt and Road Initiative (BRI). The deepwater, semi-automated container terminal includes the largest Container Freight Station (CFS) in the Middle East, covering 275,000 square metres. The state-of-the-art facility offers facilities for full and partial bonded container shipments, the full range of container packing services, short-term warehousing for de-consolidated cargo as well as easy connectivity with container terminals in Khalifa Port. The terminal is also the first international greenfield subsidiary of Cosco Shipping Ports, a subsidiary of China Cosco Shipping, the largest integrated shipping enterprise in the world. CSP has so far invested AED1.1 billion in capital expenditure on construction and machinery at the terminal. The partnership with Cosco Shipping Ports is part of a five-year strategy by Abu Dhabi Ports aimed at strengthening the maritime sector in Abu Dhabi and driving economic diversification, in line with Abu Dhabi Economic Vision 2030, by increasing regional trade and attracting foreign direct investment. Abu Dhabi Ports has earmarked AED10 billion in investment that will increase capacity at Khalifa Port from the current 5 million TEU to 9.1 million TEU, which also includes boosting capacity at Terminal 1 to more than 5 million TEU. The CSP Abu Dhabi Terminal has a design capacity of 2.5 million TEU and will begin with a handling capacity of 1.5 million TEU, with 1200 metres of quay. The water depth of the terminal is 16.5 metres, allowing it to accommodate mega-vessels typically carrying in excess of 20,000 TEU. China is the UAE’s largest non-oil trade partner. 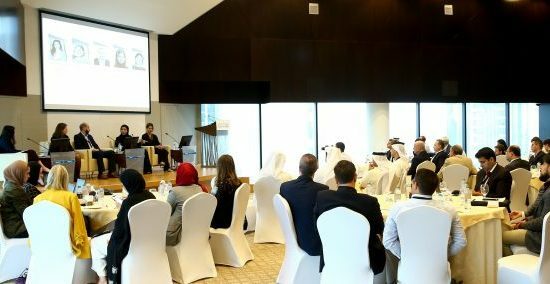 In 2017, bilateral trade between the two countries increased by 15 per cent to more than US$53 billion, representing 14.7 per cent of the UAE’s total foreign trade. During the same period the UAE accounted for nearly 30 per cent of total Chinese exports to Arab countries and about 22 per cent of total Arab-China trade. Bilateral trade is expected to increase to US$70 billion a year by 2020. The new terminal will ease the way for companies seeking to establish, expand or enhance their trade by using local manufacturing, warehousing or logistics operations within Abu Dhabi and, through them, service regional, Middle Eastern, African and international markets. In addition to attracting investors from Eastern Asia, it will increase Khalifa Port’s competitiveness and act as a catalyst for investment by foreign companies to set up in the free zone of Khalifa Industrial Zone Abu Dhabi (KIZAD), the region’s largest industrial, manufacturing and logistics hub and free zone. 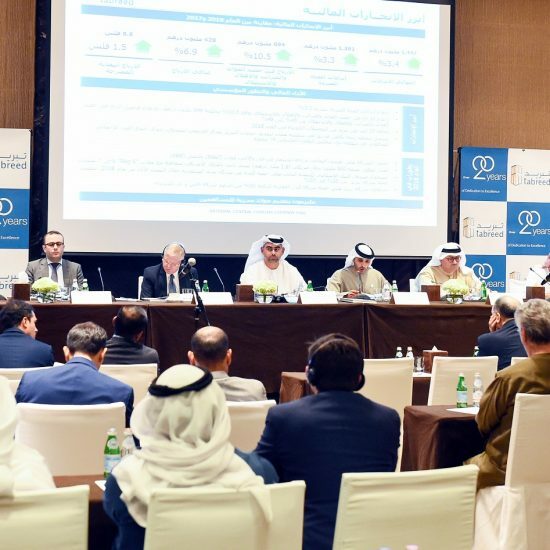 KIZAD, which comprises 410 square kilometres, has to date attracted more than 200 tenants and AED65 billion (US$17.7 billion) in investment. So far, a total of 19 Chinese companies have signed lease agreements for land in the demonstration zone established within the Khalifa Port Free Trade Zone in August 2017 by the Chinese Jiangsu Provincial Overseas Cooperation and Investment Company (JOCIC). CSP Abu Dhabi Terminal is the result of the 35-year agreement between Abu Dhabi Ports and COSCO SHIPPING Ports whose terminal portfolio covers the five main port regions in Mainland China, Southeast Asia, Europe, the Mediterranean and the Black Sea. The new terminal is part of Abu Dhabi Ports’ five-year growth strategy to increase Khalifa Port, with its two container terminals, to a combined total capacity of 9.1 million TEUs. The addition of CSP Abu Dhabi Terminal has already moved Khalifa Port up from being the 89th largest container port in world rankings to within the top 25.